Active weather is ahead for your Wednesday, and more rain is expected in your extended forecast. Get that umbrella ready, grab a jacket, and give yourself extra time to get to where you're going today. We are in the last few hours of Winter, with Spring starting at 2:58 p.m. this afternoon. 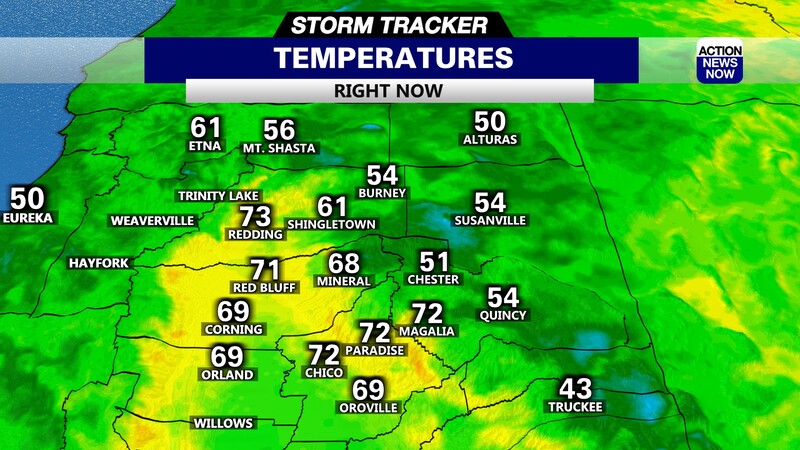 Wet and cooler weather has returned to Northern California for your Wednesday. 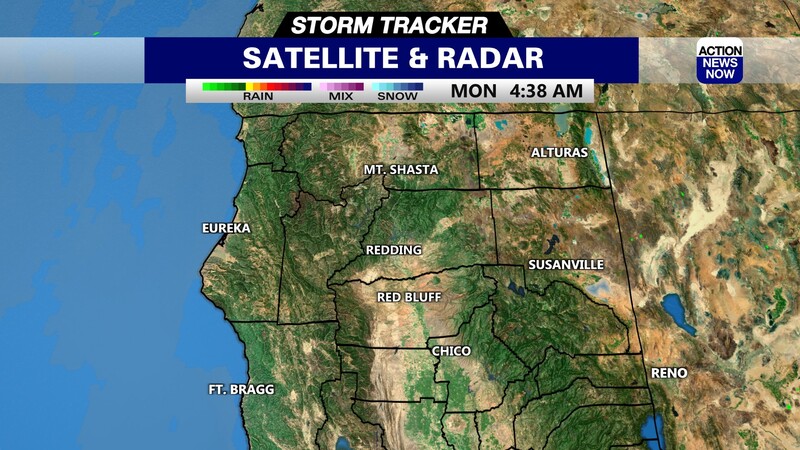 Showers returned to mountain areas yesterday evening, and have spread across all of Northern California overnight. I'm tracking areas of moderate to heavy rain through our region this morning, but mostly light to moderate showers are expected this morning. There is a chance for thunderstorms developing in the valley this afternoon, and that could result in isolated areas of heavier rain later today. Snow levels will be down to as low as 5000'. Temperatures have dipped into the 40's to 50's in the valley overnight, and into the 30's to 40's in the mountains this morning. Winds will be out of the South to around 15mph. High temperatures are projected to climb into the high 50's to low 60's in the valley this afternoon, and into the 40's to 50's in the mountains later today. 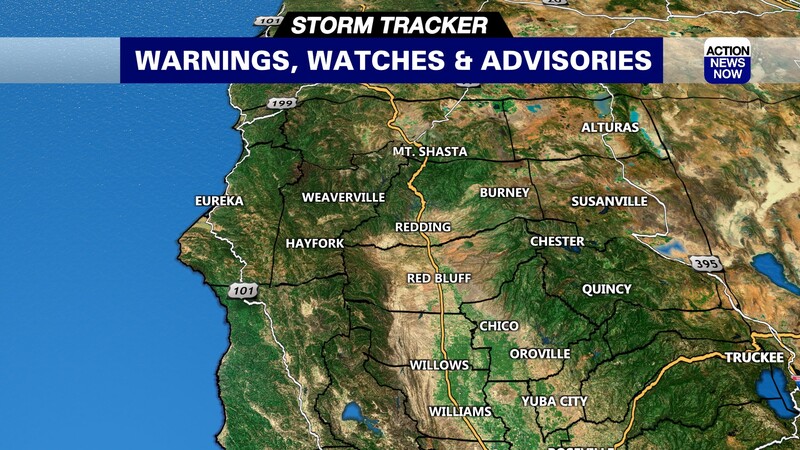 Showers will mostly wrap up in the valley tonight, but there will be a lingering chance for scattered showers lingering in the Sierra on Thursday. Mostly dry weather is expected for your Thursday forecast, but there is a decent chance that more scattered showers will pop up in the Sierra through Thursday afternoon. Temperatures will end up slightly warmer than Wednesday, with valley areas topping out in the low to mid 60's. Skies will be partly to mostly cloudy in most areas. Another round of wet weather will be ahead for your Friday forecast, so keep that umbrella handy. Showers will be in the moderate range for the end of the week, and some showers could linger into Saturday. Snow levels are expected to hover around 5000' on Friday and Saturday. Looks like we'll end up mostly dry by Saturday afternoon, and will stay dry on Sunday. Yet another wet system is projected to bring more showers to Northern California on Monday, and that system could continue to provide more showers to our region through the middle of next week.